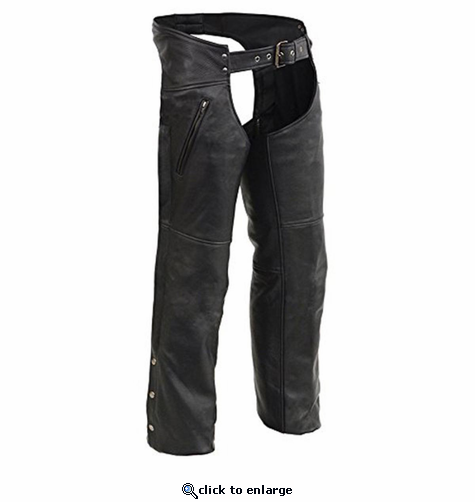 Milwaukee Leather Men's Leather Chaps with Zippered Thigh Pockets & Heated Technology. Milwaukee Leather's Heated Motorcycle Clothing is guaranteed to keep you warmer and your ride more comfortable. This great heated motorcycle chap includes a 12V battery harness for a direct power connection to your motorcycle, and can even be powered by an portable battery pack for warmth anywhere you go! 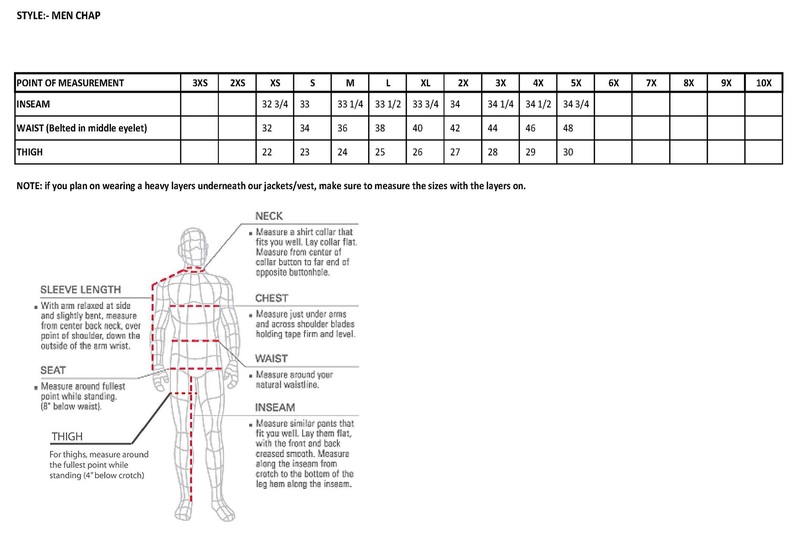 This is great fit well comfortable and warm. The only draw back is a battery wasn't included the nut that was my fault for not reading over all great buy.